Southside Saddle Club, LLC, was established in February 2013 in Chatham, Virginia, to stimulate interest in horses and horsemanship; the care, training, and riding of horses as a recreational and sporting activity; and, to foster and conduct activities pertaining to horses. 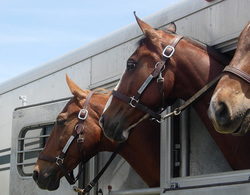 We welcome riders and horse lovers living in Southside Virginia and the adjoining counties in North Carolina to join us! All breeds of horses and participants in all disciplines of riding are welcome. We are based at Longacre Stables, 372 Hillcrest Lane, Chatham, VA 24531. 2016 Officers: President, Margaret Gardiner; Vice President, Nancy Lynch; Secretary, Jennifer Gourley; Treasurer, Ann Thomas. "Like" us on Facebook -- www.facebook.com/SouthsideSaddleClubVA to keep up-to-date with Club and horse show news! Use the button below. The 2016 Fall Classic Horse Show will be held on October 22!